Home | General | How Does Brexit Affect Us in the UK? In the UK at the moment you can’t move for talk of Brexit. It fills our social media feeds, takes over conversations at dinnertime and of course is a key consideration in any business planning for the foreseeable future. So how does Brexit affect us in the UK? 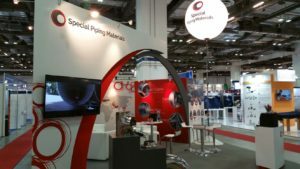 Consequently, Special Piping Materials has had many conversations with clients and suppliers in recent months as to what our plans are and how it could potentially affect how we supply our specialist pipes, fittings and flanges. This is understandable seen as Duplex, Super Duplex, 6% Moly and Nickel Alloy products are the cornerstone of so many large-scale projects in the oil and gas, petrochemical and desalination industries. So where does Special Piping Materials stand? Realistically, it is not Brexit that is our biggest challenge at the moment, but as is the case for many UK businesses, it is ‘uncertainty’ that poses our biggest threat. That being said, over the past few months we have taken steps to ensure that Special Piping Materials is prepared no matter what the outcome is in the coming weeks. Although we are a global business, we remain flexible enough to be able to quickly and efficiently update any of our processes and systems. We are confident that our logistics networks and supply chains are robust enough to cope with any changes to policy and we have reaffirmed our commitments with our specialist suppliers and manufacturers across Europe. Our relationships with the Mills and Suppliers are strong enough to supersede any ‘cross-country’ border regulations that we may face. If we look to our clients in Europe, our view is that not a lot will change. Our prices will remain competitive and our supply chain will remain intact. Looking further afield, our reputation and standing within the industry means that our global client base trusts us and knows the quality of our service. Although we are headquartered in the UK, our clients should be reassured that our offices around the world – from Brazil and America to Aberdeen, Dubai and over to Singapore and Australia – will be unaffected by whatever Brexit throws at us and will continue to operate as normal. Right now, business is stronger than it has been for a long time and demand for our specialist products is not only growing in our traditional markets but is increasing exponentially in new markets as well. From the headquarters in Manchester to our satellite offices around the world we are appointing many new staff members across all departments. What we need now is some decisive action from the UK Government and Brussels as to what will happen so we can move on from this period of uncertainty, change the conversation over the dinner table and get on with supplying our products as we have done for the past 30 years – efficiently, competitively and reliably.